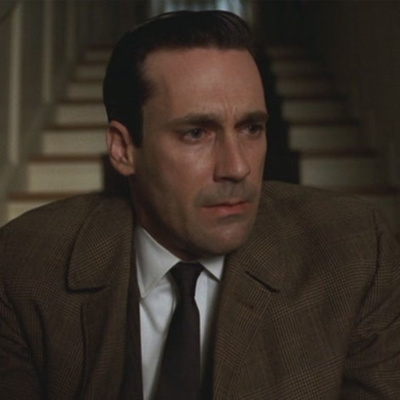 In this episode I talk about the season finale of season three of Mad Men, "Shut the Door. Have a Seat." Follow me on twitter @MadeManPod, Find Us On Facebook or email me at mademan@fansnotexperts.com. 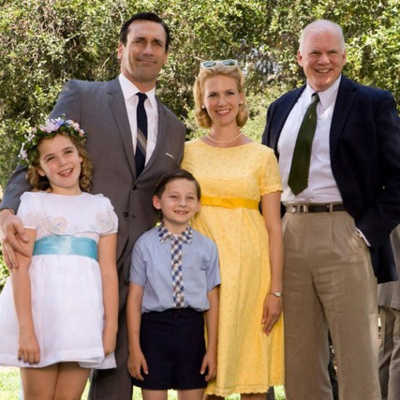 In this episode I talk about the twelfth episode of the third season of Mad Men, "The Grown Ups." Follow me on twitter @MadeManPod, Find Us On Facebook or email me at mademan@fansnotexperts.com. 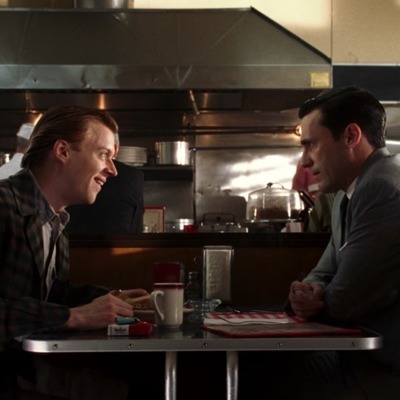 MADE MAN S03E08 : "Souvenir"
In this episode I talk about the eighth episode of the third season of Mad Men, "Seven Twenty Three." Follow me on twitter @MadeManPod, Find Us On Facebook or email me at mademan@fansnotexperts.com. MADE MAN S03E07 : "Seven Twenty Three"
In this episode I talk about the seventh episode of the third season of Mad Men, "Seven Twenty Three." Follow me on twitter @MadeManPod, Find Us On Facebook or email me at mademan@fansnotexperts.com. 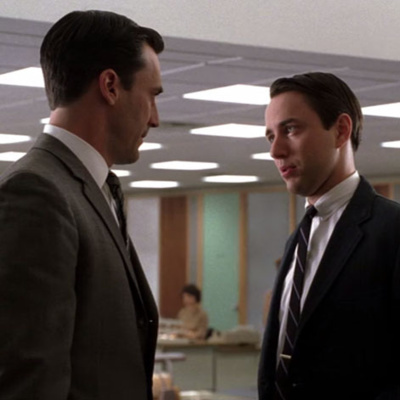 MADE MAN S03E06 : "Guy Walks Into an Advertising Agency"
In this episode I talk about the sixth episode of the third season of Mad Men, "Guy Walks Into an Advertising Agency." Follow me on twitter @MadeManPod, Find Us On Facebook or email me at mademan@fansnotexperts.com. 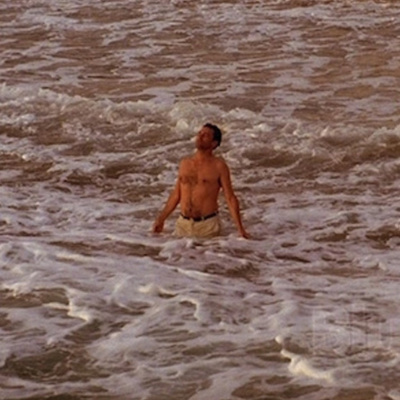 MADE MAN S03E05 : "The Fog"
In this episode I talk about the fifth episode of the third season of Mad Men, "The Fog." Follow me on twitter @MadeManPod, Find Us On Facebook or email me at mademan@fansnotexperts.com. MADE MAN S03E04 : "The Arrangements"
In this episode I talk about the fourth episode of the third season of Mad Men, "The Arrangements." Follow me on twitter @MadeManPod, Find Us On Facebook or email me at mademan@fansnotexperts.com. 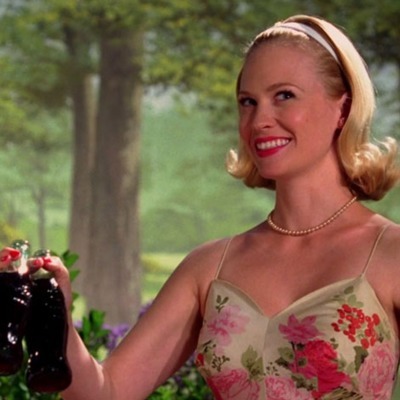 In this episode I talk about the third episode of the third season of Mad Men, "My Old Kentucky Home." Follow me on twitter @MadeManPod, Find Us On Facebook or email me at mademan@fansnotexperts.com. 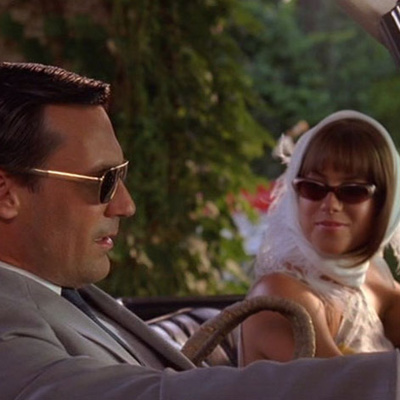 In this episode I talk about the first episode of the third season of Mad Men, "Out of Town." Follow me on twitter @MadeManPod, Find Us On Facebook or email me at mademan@fansnotexperts.com. 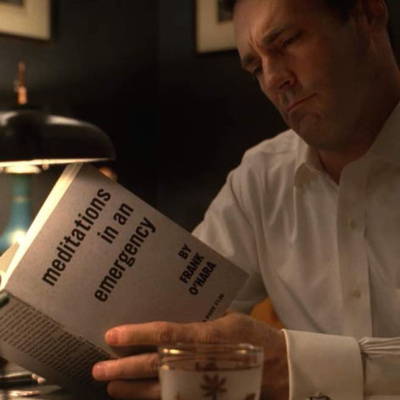 In this episode I talk about the thirteenth and final episode of the second season of Mad Men, "Meditations in an Emergency." Follow me on twitter @MadeManPod, Find Us On Facebook or email me at mademan@fansnotexperts.com. 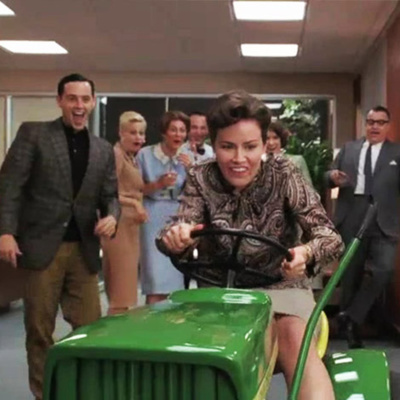 MADE MAN S02E12 : "The Mountain King"
In this episode I talk about the twelfth episode of the second season of Mad Men, "The Mountain King." Follow me on twitter @MadeManPod, Find Us On Facebook or email me at mademan@fansnotexperts.com. 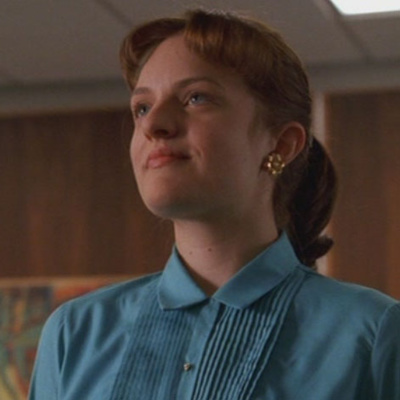 MADE MAN S02E11 : "The Jet Set"
In this episode I talk about the eleventh episode of the second season of Mad Men, "The Jet Set." Follow me on twitter @MadeManPod, Find Us On Facebook or email me at mademan@fansnotexperts.com. 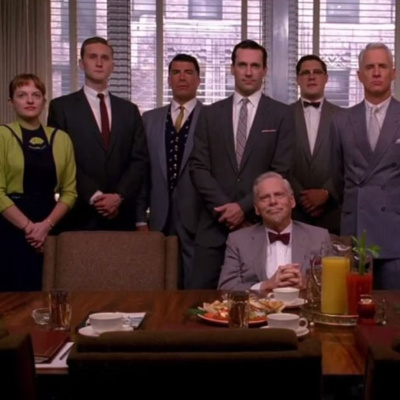 MADE MAN S02E10 : "The Inheritance"
In this episode I talk about the tenth episode of the second season of Mad Men, "The Inheritance." Follow me on twitter @MadeManPod, Find Us On Facebook or email me at mademan@fansnotexperts.com. MADE MAN S02E09 : "Six Month Leave"
In this episode I talk about the ninth episode of the second season of Mad Men, "Six Month Leave." Follow me on twitter @MadeManPod, Find Us On Facebook or email me at mademan@fansnotexperts.com. 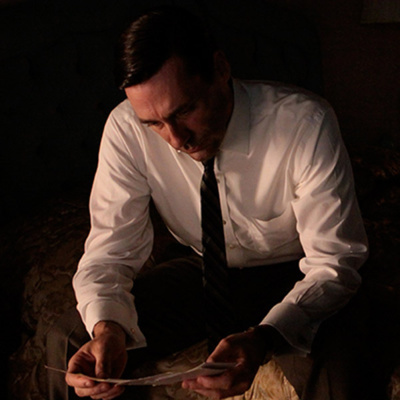 MADE MAN S02E08 : "A Night to Remember"
In this episode I talk about the eighth episode of the second season of Mad Men, "A Night to Remember." Follow me on twitter @MadeManPod, Find Us On Facebook or email me at mademan@fansnotexperts.com. 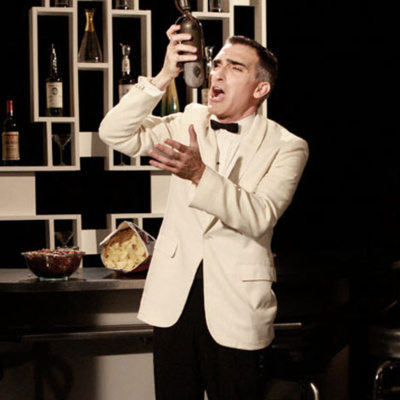 MADE MAN S02E07 : "The Gold Violin"
In this episode I talk about the seventh episode of the second season of Mad Men, "The Gold Violin." Follow me on twitter @MadeManPod, Find Us On Facebook or email me at mademan@fansnotexperts.com. 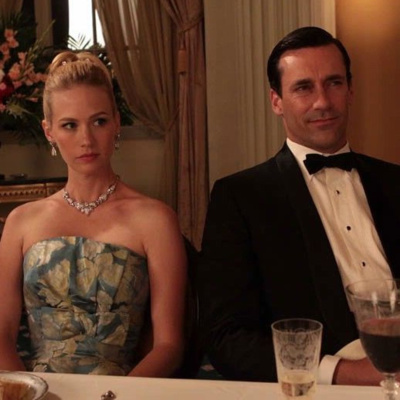 In this episode I talk about the sixth episode of the second season of Mad Men, "Maidenform." Follow me on twitter @MadeManPod, Find Us On Facebook or email me at mademan@fansnotexperts.com. MADE MAN S02E05 : "The New Girl"
In this episode I talk about the fifth episode of the second season of Mad Men, "The New Girl." Follow me on twitter @MadeManPod, Find Us On Facebook or email me at mademan@fansnotexperts.com. 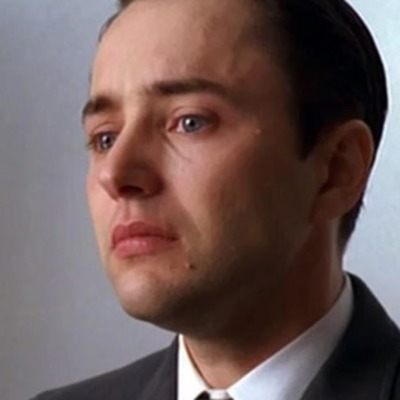 In this episode I talk about the fourth episode of the second season of Mad Men, "Three Sundays." Follow me on twitter @MadeManPod, Find Us On Facebook or email me at mademan@fansnotexperts.com. 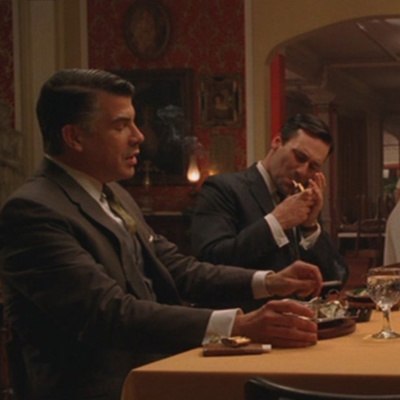 MADE MAN S02E03 : "The Benefactor"
In this episode I talk about the third episode of the second season of Mad Men, "The Benefactor." Follow me on twitter @MadeManPod, Find Us On Facebook or email me at mademan@fansnotexperts.com. 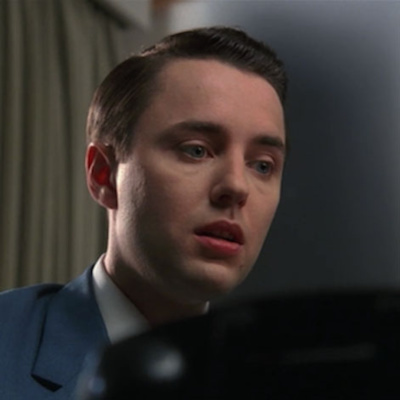 MADE MAN S02E02 : "Flight 1"
In this episode I talk about the second episode of the second season of Mad Men, "Flight 1." Follow me on twitter @MadeManPod, Find Us On Facebook or email me at mademan@fansnotexperts.com. 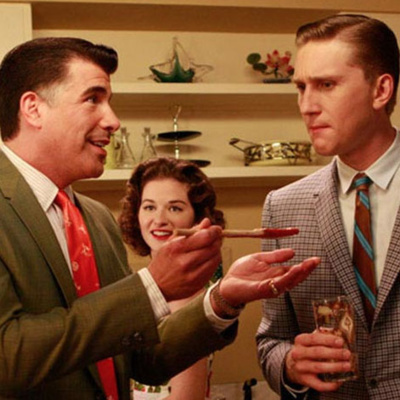 MADE MAN S02E01 : "For Those Who Think Young"
In this episode I talk about the first episode of the second season of Mad Men, "For Those Who Think Young." Follow me on twitter @MadeManPod, Find Us On Facebook or email me at mademan@fansnotexperts.com. 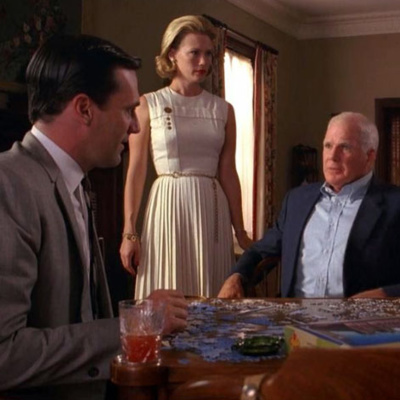 MADE MAN S01E13 : "The Wheel"
In this episode I talk about the thirteenth and final episode of the first season of Mad Men, "The Wheel." Follow me on twitter @MadeManPod, Find Us On Facebook or email me at mademan@fansnotexperts.com. 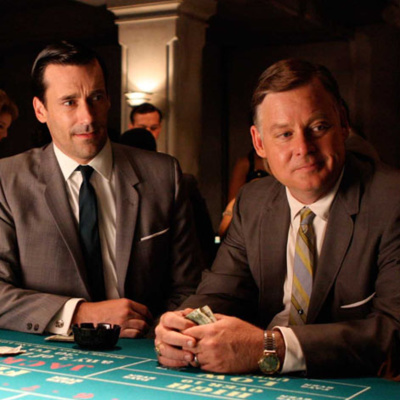 In this episode I talk about the twelfth episode of the first season of Mad Men, "Nixon vs. Kennedy." Follow me on twitter @MadeManPod, Find Us On Facebook or email me at mademan@fansnotexperts.com. 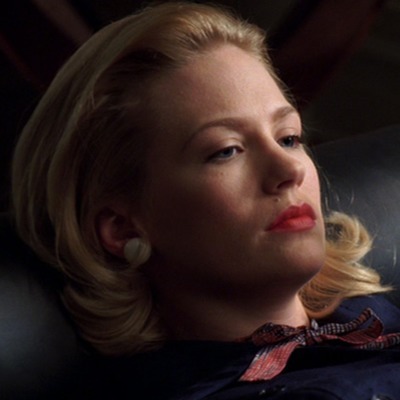 In this episode I talk about the eleventh episode of the first season of Mad Men, "Indian Summer." Follow me on twitter @MadeManPod, Find Us On Facebook or email me at mademan@fansnotexperts.com. 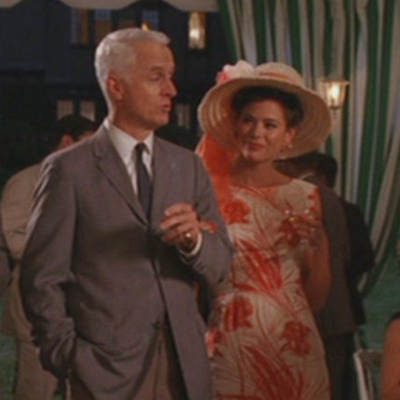 In this episode I talk about the tenth episode of the first season of Mad Men, "Long Weekend." Follow me on twitter @MadeManPod, Find Us On Facebook or email me at mademan@fansnotexperts.com. 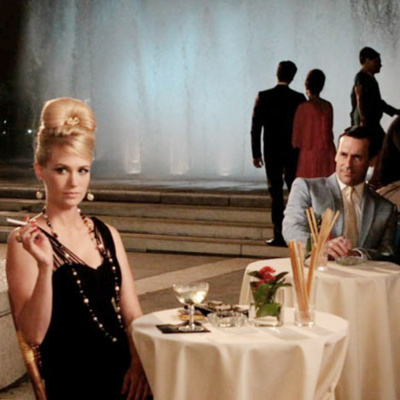 In this episode I talk about the ninth episode of the first season of Mad Men, "Shoot." Follow me on twitter @MadeManPod, Find Us On Facebook or email me at mademan@fansnotexperts.com. MADE MAN S01E08 : "Hobo Code"
In this episode I talk about the eighth episode of the first season of Mad Men, "Hobo Code." Follow me on twitter @MadeManPod, Find Us On Facebook or email me at mademan@fansnotexperts.com. 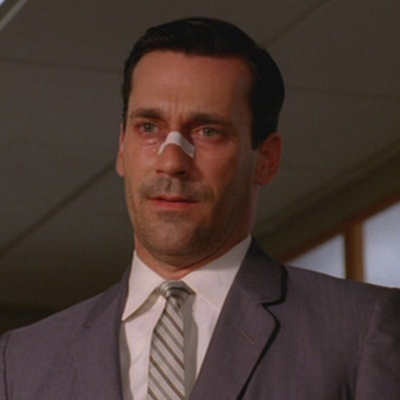 MADE MAN S01E07 : "Red in the Face"
In this episode I talk about the seventh episode of the first season of Mad Men, "Red in the Face." 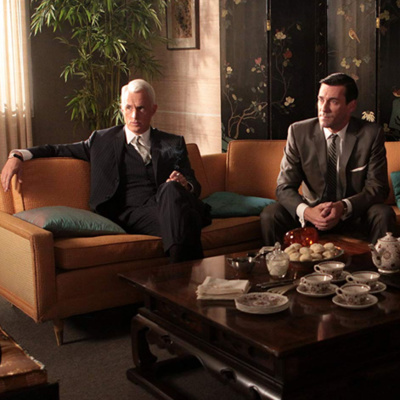 MADE MAN S01E06 : "Babylon"
In this episode I talk about the sixth episode of the first season of Mad Men, "Babylon." 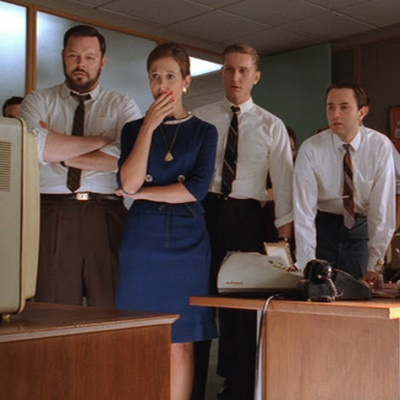 MADE MAN S01E05 : "5G"
In this episode I talk about the fifth episode of the first season of Mad Men, "5G." MADE MAN S01E04 : "New Amsterdam"
In this episode I talk about the fourth episode of the first season of Mad Men, "New Amsterdam." Happy August everyone! 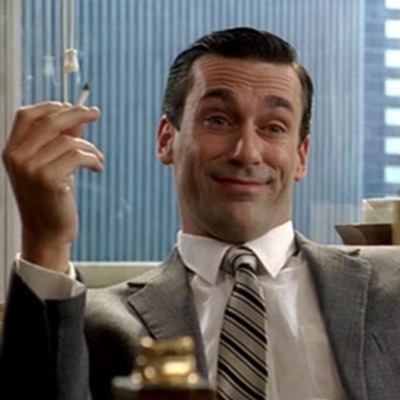 Here it is - the first ever episode of "Made Man" a podcast where I watch every episode of the hit AMC Series Mad Men. No planning. No research. Hardly any production. Instant reactions. Follow along with me as I take the journey over 90 episodes of becoming a Made Man! 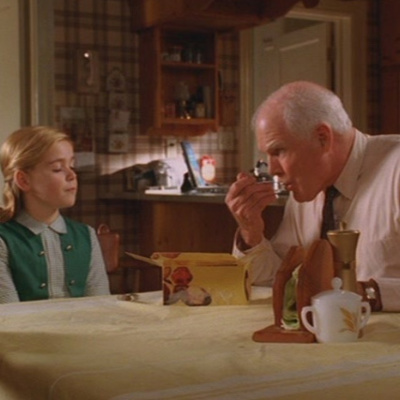 In this first episode I watch the first episode of the first season, "Smoke Gets in Your Eyes."